In this book L. A. Summers investigates the facts behind the myths and mysteries using modern research and newly discovered information. What was life really like for railwaymen in the days of steam? Did the locomotive superintendents of some companies network their ideas, and further, was GWR influence to be seen in far-flung parts of the world like Egypt, Malaya and Australia? The author reveals the facts about the mythical 'Hawksworth Pacific' and in the projects that were never progressed, the Stanier-Hawksworth 4-cylinder compound, the express passenger Pacific tank of the early 1930s, the wide firebox 2-8-0 based on the LMS 8F, the coal fuelled gas turbine, the Caprotti County and the one that was completed - Dean's express passenger 4-2-4T, only ever to run a few yards outside the works. 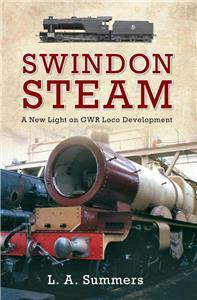 The author paints a broad canvas putting Swindon in its British, European and world wide context.